Tickets on Sale Now from Rockit and Eventbrite. Tickets bought via android phone, iphone or iPad will not have the option to choose seats. Seat choice is only available on laptops and desk top computers. The Human League are so credible it’s incredible. In fact, they’re probably more highly regarded in 2018 than they were in 1981 when they released their landmark album Dare! They’re used to everyone from Madonna to Moby, Pet Shop Boys to Robbie Williams, citing them as an influence. But they’re about more than esoteric infiltration there has been mainstream penetration, too, commensurate with a band who gave us the greatest ever Christmas Number 1 single with 1981/2’s‘Don’t You Want Me’, who have had four Top 10 albums and eight Top 10 singles in the UK as well as two US Number 1 singles and sold 20 million records worldwide. 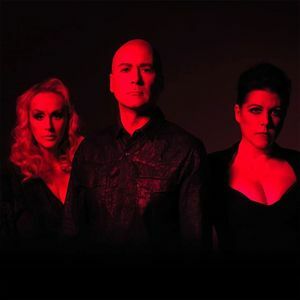 The Human League will perform in Jersey for one night only at Fort Regent on Friday 24th of May. Tickets available from Rockit.je, Eventbrite and Fort Regent. There are large parking areas at the showground with further parking on the events field. Taxi's can drop off and pick up at the Entrance to the Royal Jersey Showground. NO REFUNDS. UNLESS THE EVENT IS CANCELLED, ALL SALES ARE FINAL. Valid photographic ID maybe required upon entry to verify your E-Ticket and age. Suitable forms of valid photographic ID include your passport, driver’s licence and any photographic ID that carries the PASS logo. Photocopies are not acceptable.